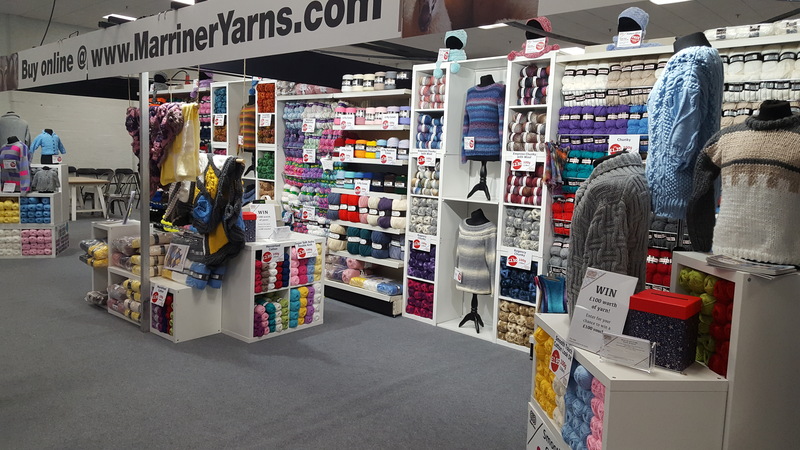 As many of you may know, Marriner Yarns made the trek to London through the snow, on the last day of February, ready to welcome our customers to The Spring Knitting and Stitching Show at Olympia. We made it to the centre before the Beast from the East struck in full force and were able to set up and get everything ready as planned. We know that not everyone was able to make it to the show, be it because of the weather, distance, or just general life activities taking priority, so we thought we would share some lovely moments from the show with you all. A lot of time and planning had gone into our stand for this show – keeping it simple, but still making everything available for our customers to have a browse. We beavered away all day Wednesday and into the night to get our stand ready. 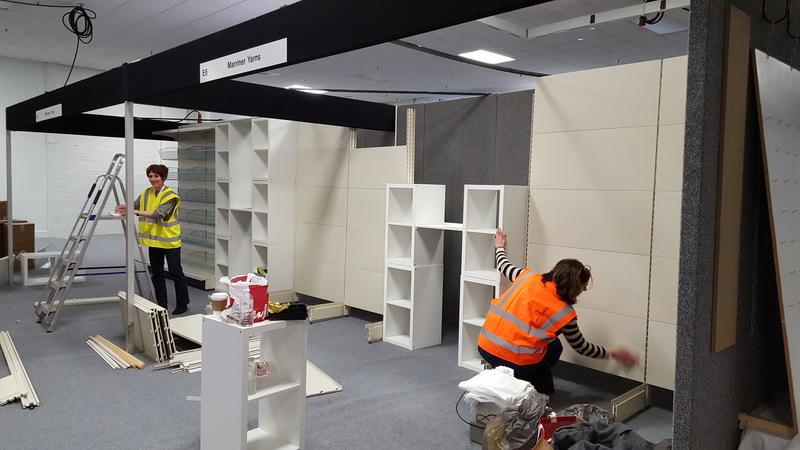 We had some new and intriguing additions to our stand, so we were keen to get it perfect before our wonderful customers descended on Thursday morning. If you are a regular customer you might spy some exciting things on our stand. We hosted a prize draw to win a £100 Marriner voucher – won by Jan Perry. Congratulations, Jan! – as well as offering our show customers exclusive access to free patterns. 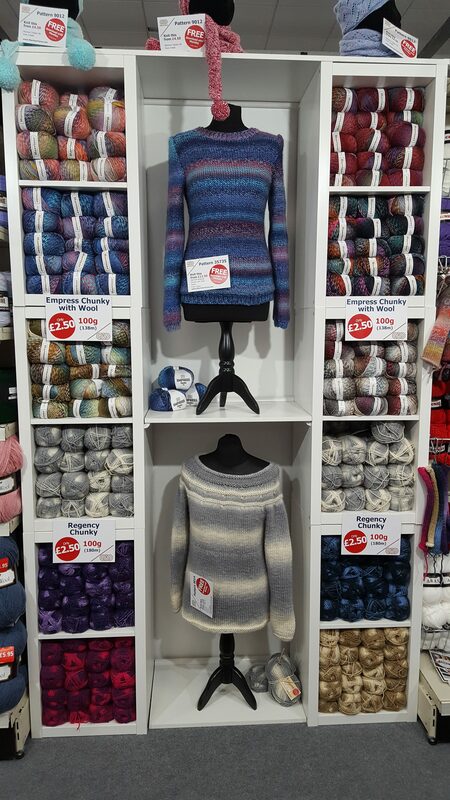 We even created some exclusive new blanket kits ready to offer at the show AND early access to a brand new colour in both our Regency and Hermitage yarns. Keep your eyes peeled on our website – these will be coming very soon! We’re grateful to all of our knitters and crocheters who have worked on creating garments for us. 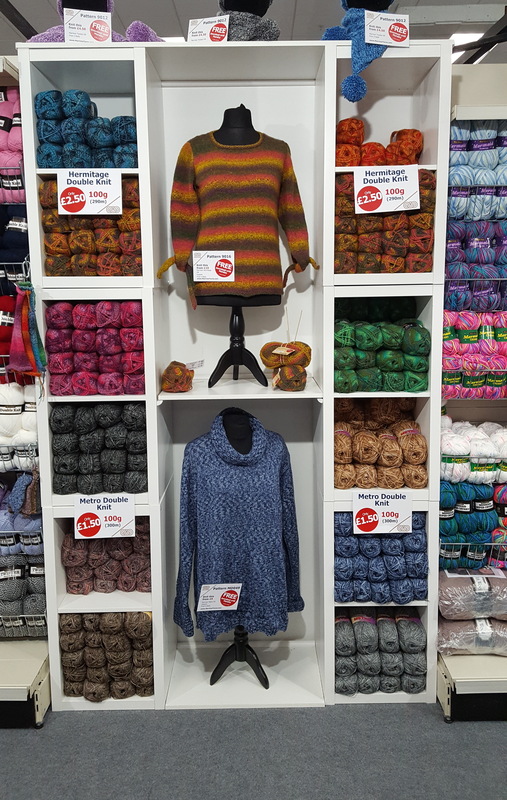 As you can see, they go a long way towards creating the look of the stand and properly showing off our wonderful yarns. If you were lucky enough to win a free ticket to the show, we hope that you stopped by and had a great time. Only a few pairs of winners introduced themselves – we hope you won’t all be so shy next time! Lucie Moss and her mum won a pair of tickets to the show! 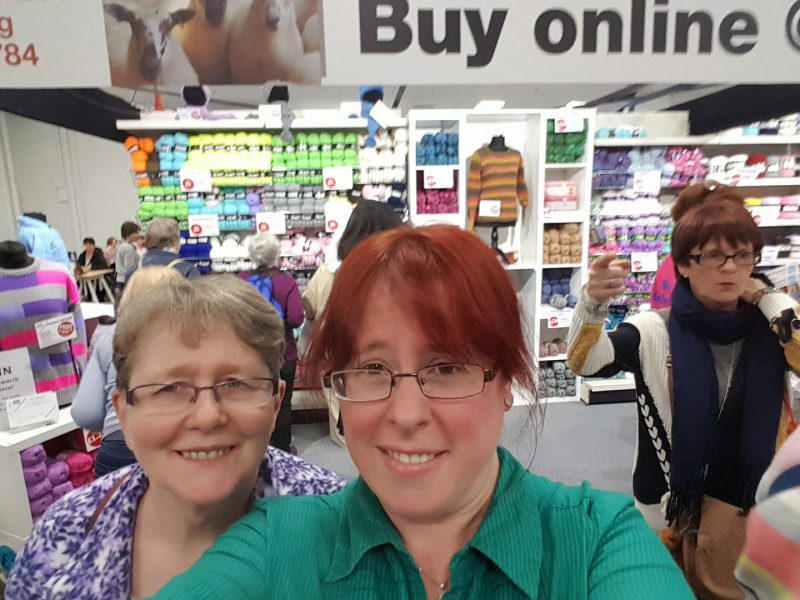 The best part of The Knitting and Stitching Show is getting the opportunity to meet so many of you face to face. It’s lovely to have a chat and talk through our yarns and patterns and hear about all of the wonderful things you are making. Did anyone have a chat with Felicity, Caroline, Rhos, Lucy or Chris at the show? As always, we’re looking forward to the next show and getting to meet you lovely people all over again. 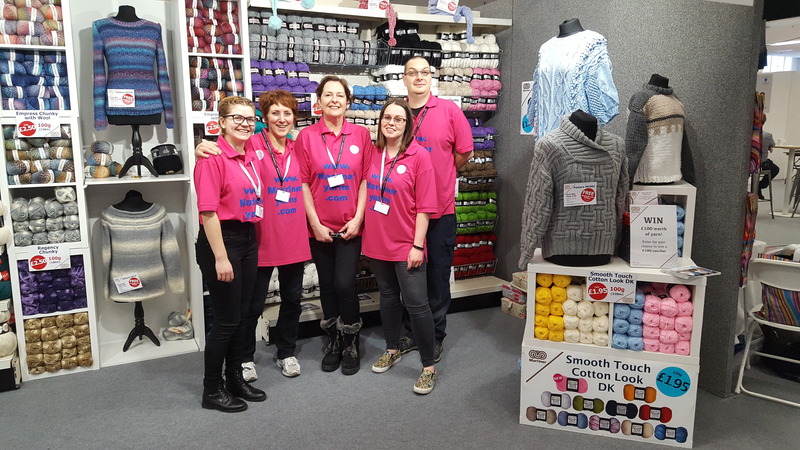 You can find us at the Knitting and Stitching shows in Alexandra Palace and Harrogate in October and November later this year!